The man accused of shooting a firearm toward a deputy before a standoff in Hollister in early July will next appear in court Sept. 6 at 2 p.m. for a preliminary setting. At a preliminary setting, a judge is scheduled to set a preliminary hearing where it’s determined if there’s enough evidence for a trial. Both appearance are standard court protocol. 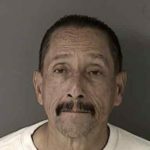 The San Benito County District Attorney’s Office filed eight counts against Rafael A. Rojas, the man accused of shooting a firearm toward a deputy before a standoff in Hollister. Rojas was charged with flight from a traffic officer with disregard for safety along with a special allegation of being armed with a firearm; assault with a deadly weapon; obstruction with a special allegation of doing so with a firearm; felon/addict in possession of a firearm; person prohibited in possession of ammunition; two counts of carrying a concealed weapon in a vehicle; and having driving privileges revoked. All of them are felony charges except the driving privileges matter. A conviction on the felonies could result in multiple years in prison. The assault with a deadly weapon charge alone could get Rojas up to five years in prison, according to the penal code. At 11:30 a.m. July 5, San Benito County Sheriff’s Deputy attempted to stop the driver of a vehicle for a traffic violation in the area of East St and 4th St in the City of Hollister. Once the Deputy activated his emergency lights, the driver of the vehicle evaded the stop and a pursuit ensued. The pursuit continued through the city of Hollister at slow to moderate speeds. In the area of Paseo Drive, a single gunshot was fired from within Rojas’ vehicle. The direction of the shot is still under investigation. However, nobody was struck by the fired round. In the area of the 1300 Block of Marne Drive, Rojas stopped the car and ran on foot into the neighborhood. As the deputy pursued Rojas, now joined by officers from the Hollister Police Department, he saw a handgun in his right hand. The deputy and officers ordered Rojas to drop the gun, but he refused and challenged the deputy and officers to shoot him. Rojas kicked the gate open to a fence of what was later determined to be the home of a relative. An armed standoff then began in the backyard of the home. Deputies from the San Benito County Sheriff’s Office and officers from the Hollister Police Department converged on the scene and began evacuating residents from the area. Officers from the Hollister Police Department engaged Rojas in conversation and negotiations to disarm him for nearly 20-25 minutes. Their patience and professionalism were paramount to the safe conclusion of this case. At one point, officers used their phone, and a Deputies phone, to establish a line of communication between Rojas and a family member. The family member was able to work with the officers and help convince Rojas to drop the gun and surrender. Rojas was arrested and was uninjured in this standoff. The investigation is ongoing. 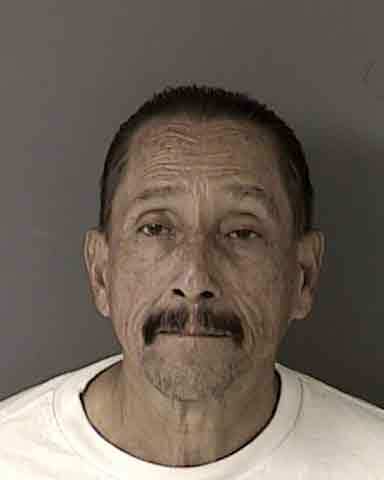 Rojas has been booked in to the San Benito County Jail on numerous charges. The firearm, a Ruger 9mm pistol, was recovered as well as the vehicle that still had the shell casing from the fired bullet inside. 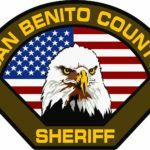 The San Benito County Sheriff’s Office would like to thank the Hollister Police Department staff, to include their patrol staff, detectives, administration and their Press Information Officer Sergeant Don Pershall for all their help during this event. Anyone with information on this case is urged to contact the San Benito County Sheriff’s Office on our anonymous tip-line at (831) 636-4084. Or, you can TEXT-A-TIP to 888777 by typing TIP SBCSO followed by your message. To sign up for NIXLE ALERTS text SBCSO to 888777 and follow the prompts.